Covering all seven of South Africa’s biomes, it’s no wonder The Eastern Cape is teeming with fauna and flora. Private game reserves dot the province’s diverse landscape comprised of riverine forests, endless coastline and acacia woodland, granting easy access to the country’s natural treasures in a malaria-free environment. 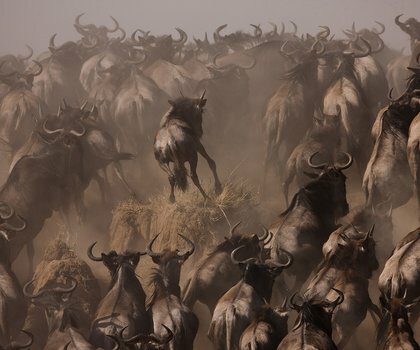 Photographers are spoiled for choice with sightings of cheetah, giraffe, zebra, hippo, and an array of antelope. Of course, the trip is not complete without snapshots of the coveted Big 5. Twice-daily game drives reveal the different animals’ habits; where caracals and hyenas emerge to hunt for the night and dawn calls early risers to the watering holes. 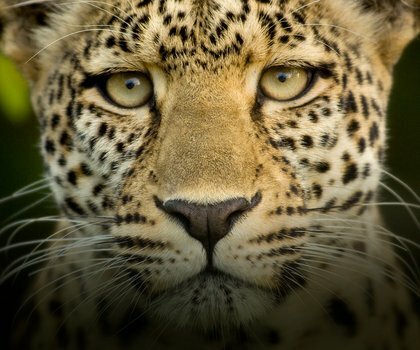 Bushwalks bring you closer to hidden gems such as southern Africa’s rare white lion and the endangered black-footed cat. With many reserves offering specialised activities for children, the little ones will never be bored giving parents time to indulge in the soothing pastimes available at various lodgings. Avid birders flock to the area with some areas providing a home for over 400 different bird species including kingfishers, the African fish eagle and blue-cheeked bee-eaters. For water-enthusiasts, there are boat cruises and canoeing trips available along the Kariega and Bushman’s Rivers. Kwandwe Ecca Lodge is a refreshing take on the modern safari. This stylish lodge is situated in the malaria-free Kwandwe Game Reserve and makes for the perfect ending to a Garden Route itinerary. With game drives, nature walks and Big Game tracking on offer, you can rest assured there will be plenty to keep you busy. Kwandwe Great Fish River Lodge was designed to enhance the endless landscape and gentle running waters of the Great Fish River Valley. The air here is fresh and the sights and sounds, both soothing and magnificent. About 160km east of Port Elizabeth in the Eastern Cape, Kwandwe Uplands Homestead makes a perfect ending to a Garden Route adventure. Packed full of charisma and grace of bygone times, this sublime colonial-style farmhouse claims its place among the crème de la crème of safari destinations. Sibuya Tented River Camp is situated on the Kariega River Estuary in what looks like an emerald maze of waterways and wilderness. Showcasing an abundance of diverse wildlife, from elephants to otters and everything in between (including the Big 5), and incredible birding, experiencing Sibuya is rewarding on every level. South Africa is definitely not short of two things: incredible beaches and awe-inspiring game reserves. The question is, how do you fit both in to an already jam-packed itinerary? Easy: stay at Sibuya Forest Camp – a safari destination mere minutes from the coastal holiday village of Kenton-on-Sea. Sibuya Bush Lodge, a short way from the 3,000ha Sibuya Game Reserve, gives visitors a chance to enjoy a Big 5 safari in a lush environment that is easily added on to an itinerary spent exploring the Garden Route. Embark on game drives, cruises along the river and day trips to Kenton-on-Sea for beach town bliss. 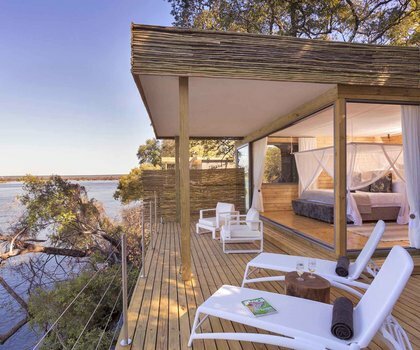 Modelled after a traditional village, guests to Shamwari’s Lobengula Lodge will truly embrace the essence of Africa in this malaria-free Big 5 destination. Enjoy daily game drives and bush walks before retiring to the Sanctuary for a massage, or the Meditation Deck to absorb the relentless symphony of the wild. The eco-friendly Sarili Lodge in the malaria-free Shamwari Game Reserve is a perfect African getaway for families and small parties. The four Luxury Rooms and one Suite sleep a maximum of 10 guests at any time and special kids’ programmes, childminders and a child-friendly pool makes this a great for the kids. At the Shamwari Riverdene Lodge in the Eastern Cape you’re guaranteed to experience five-star accommodation and a malaria-free African safari fit for the whole family. Accommodation consists of nine Luxury Rooms which can sleep two adults and one child. Shamwari Long Lee Manor looks like something out of a twentieth-century classic, with its long driveway and large entrance sheltered by a balcony supported by Roman columns. Inside, however, you will find a well-appointed game lodge with all the desired features and amenities to facilitate relaxation and rest between your exciting game-viewing adventures. A weekend spent at Shamwari’s Explorer Camp is sure to entice those who relish in the idea of an authentic game-viewing experience. Nights are spent beneath the stars, around the fire, while days will see guests trekking behind the Big 5. The Explorer Camp will bring fabled African safari lore to life. Have one of the finest Big 5 experiences of your life – and do so in five-star style – at Shamwari Eagles Crag. Between insightful game dives and walks on this 25,000-hectare (malaria-free) reserve, you can pop into the lodge’s Relaxation Retreat for a personalised spa treatment.